Mariano Rivera of the New York Yankees is(was?) one of the best closers in baseball history. I’ll give him that. 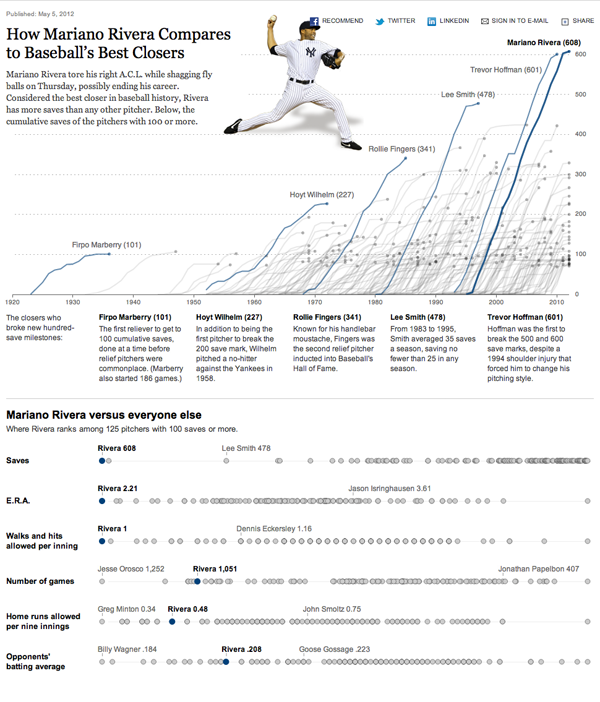 So when a freakish accident brought to an end his season—and possibly his career—the New York Times of course had an(other) infographic about his historic numbers. But I’m a Red Sox fan. And this whole sequence of events will always be my memory of Rivera. The election campaign for the presidency has begun in earnest. The President launched his official campaign over the weekend and Mitt Romney’s nomination is all but official. So what to do over the next six months? Lots of television adverts—thankfully I’m thinking of cutting my cable—and random events that shape public opinion. And, thanks to the New York Times, you can now play politics by dragging states into either the Obama camp or the Romney camp or you can read through the Times’ take on different scenarios. Personally, I am going for the politically fascinating split electoral college route. Bonus points if you know what happens in this scenario—no cheating. And extra bonus points to the Times for splitting up the electoral votes of both Maine and Nebraska, look up what Obama did in 2008 to see how this can happen. 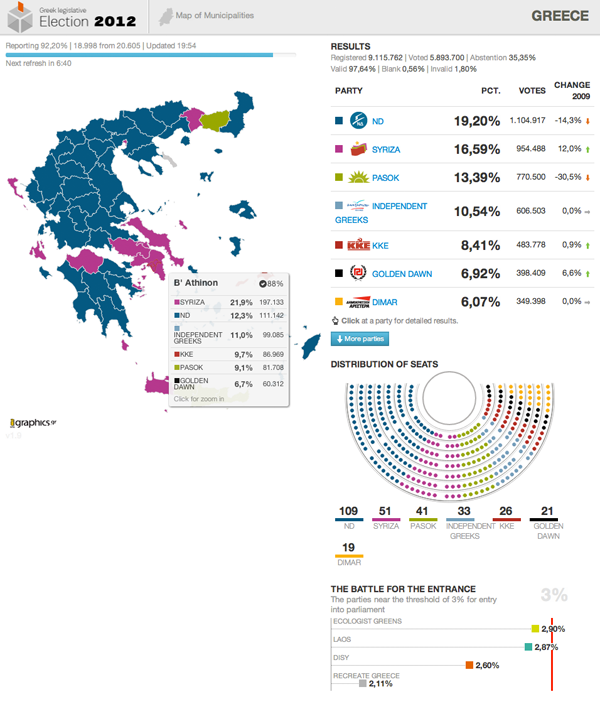 Credit for the piece goes to igraphics, a Greek data visualisation outfit. Last month I visualised my tea consumption data. 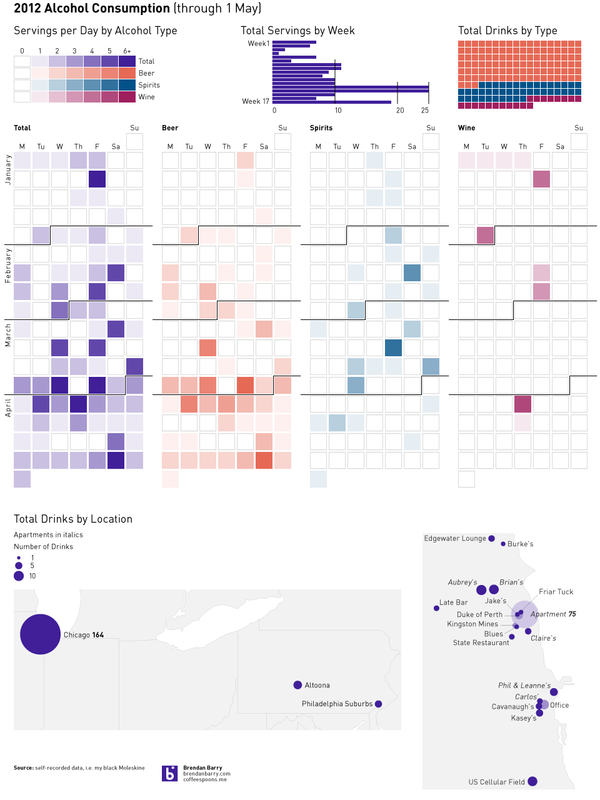 But the other dataset that I record along with the tea is that of alcohol: when, where, and what I consume. 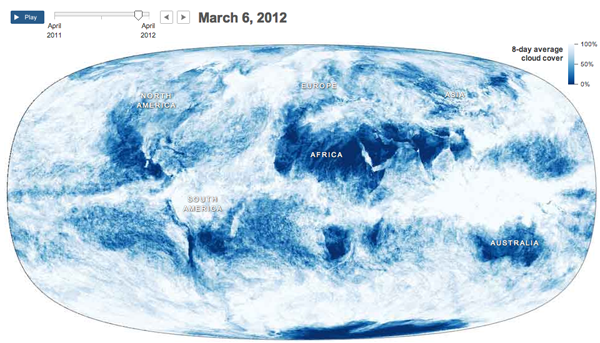 The following is the result of four months of data, but you have to click for the full-scale view. 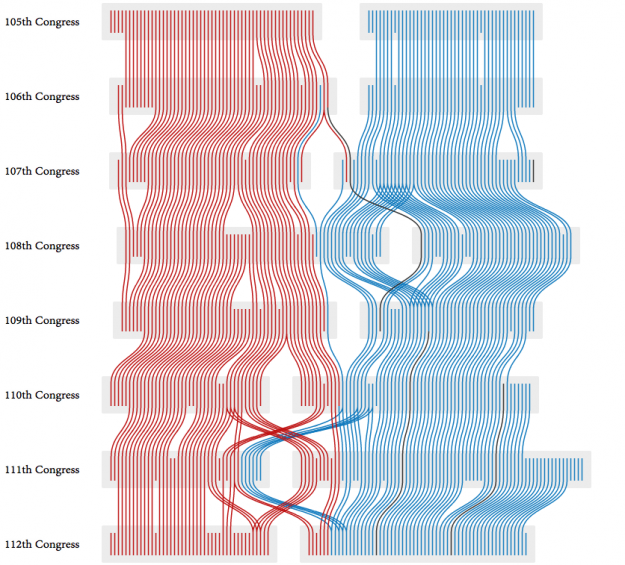 I don’t normally do the re-posts to the other blogs I follow, but this post on Flowing Data is a link to an interesting piece of analysis on the political groups in the US Senate. It’s worth a(nother) look. 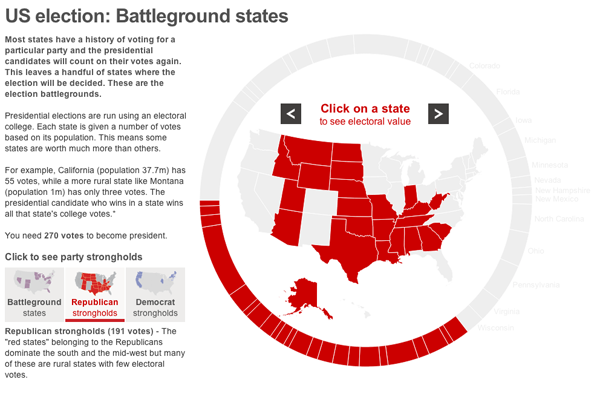 The BBC provides an interactive tool to explore the battleground states in the forthcoming election. 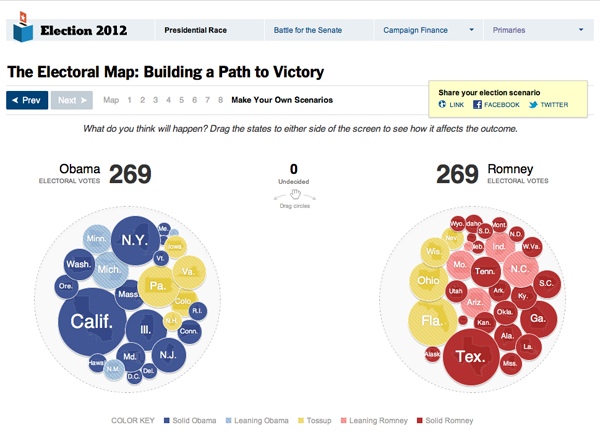 A giant donut chart with 50 segments maps a segment to a state and its total number of electoral votes. The larger the electoral vote, e.g. California, the larger the segment. Beyond just a giant chart, however, the BBC has placed the states into different camps, the Democrats, the Republicans, and the Battleground states. Selecting either the Democrat strongholds or the Republican strongholds highlights the states for each respective party. Not a lot of functionality is to be had. 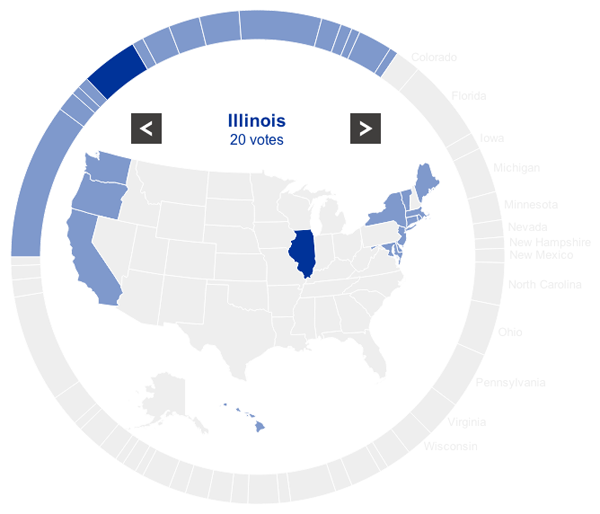 Clicking on a state merely displays its name and number of votes. But this is not the main function of the piece. The main goal of the piece is to explore the Battleground states. When the user selects one, he or she is presented with a new view that moves the chart partially off-screen—while keeping the Battlegrounds in view—and moves a profile piece on-screen. This view contains both a text summary of the state and its challenges along with important demographic statistics. For an American audience, there is probably little to be gained from the piece unless one is wholly unfamiliar with American politics. But for the more international part of the BBC News audience, this piece gives them quick insights into the various states that will be so important over the course of the next few months. Kickstarter has been around for a little while now, financing some interesting projects. 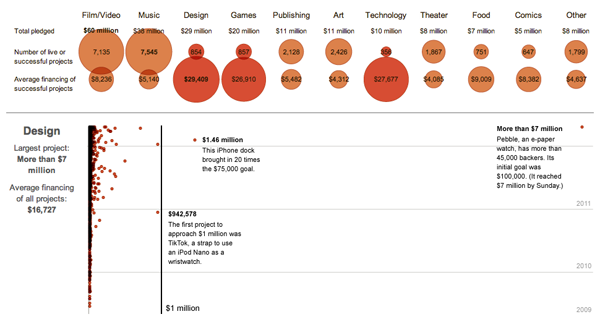 The New York Times has an infographic about how much each project earned. 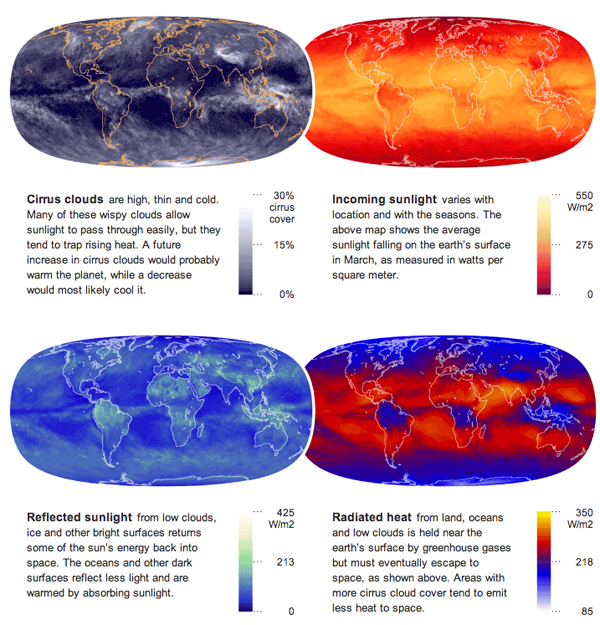 And while there is nothing particularly fancy about each, they are all scatter plots, the quirk is that the time and value axes have been reversed from their customary positions. While unusual, it supports the longer range for the monetary figures and the short range for the three years of Kickstarter history. Furthermore, the data is broken out into different industries, e.g. design, food, and dance, that have adjusted value scales to make intra-industry comparisons easier. Nothing fancy, but an attentive care to the detail of the data. But the song relates to this post because earlier this week the print design blog For Print Only featured my annual Christmas card. I typically design and print a card to mail (as in a physical copy through the postal service, none of that e-card non-sense) to my friends and family. 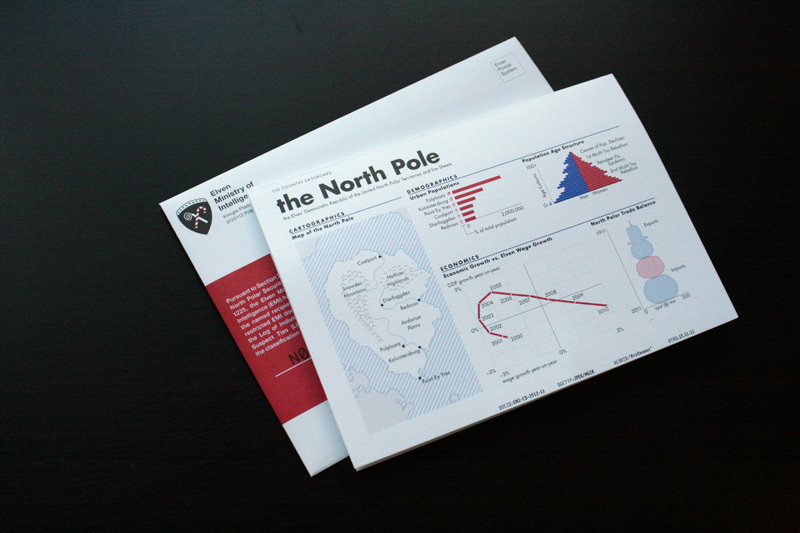 This past year I took to infographics to explore the realm of Santa and his North Pole dictatorship. Credit for the photographs goes to FPO. 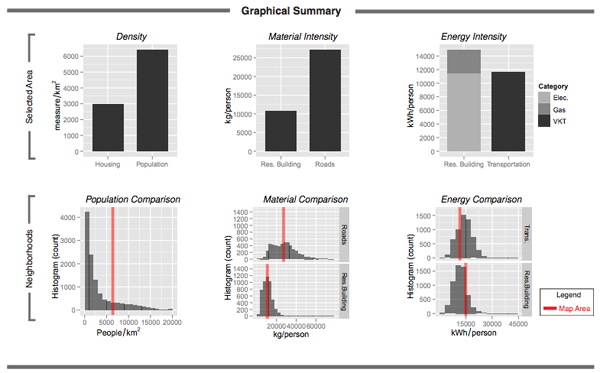 Via the Guardian comes an interactive piece from researchers at MIT and the Technical University of Lisbon that allows users to examine urban environments to compare population, energy use, and building material intensity for a select set of 42 different cities. 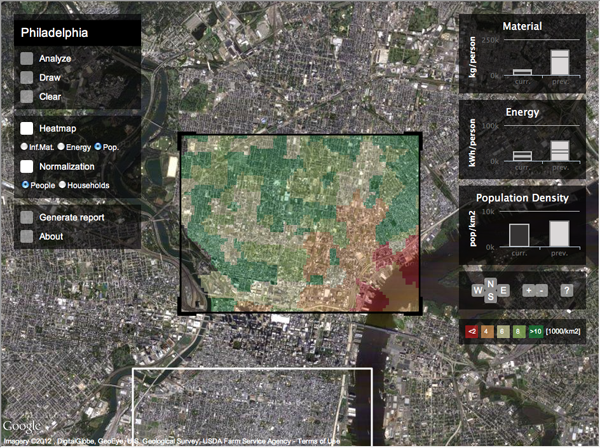 The screenshots below are of neighbourhoods in Philadelphia. 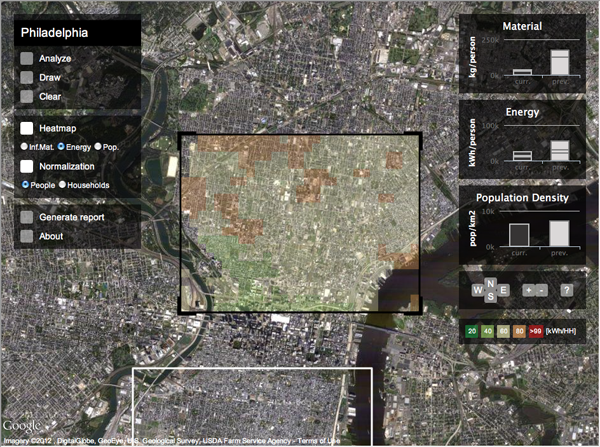 Once the user has chosen an area, he or she can move on and analyse a different section of the city. This behaviour generates a comparison on the right of the current area to the previous area. After the user has found an area of particular interest, he or she can generate a graphical report that summarises the findings for the selected area and compares that to other areas of similar scale in the city. Credit for the piece goes to David Quinn and Daniel Wiesmann.